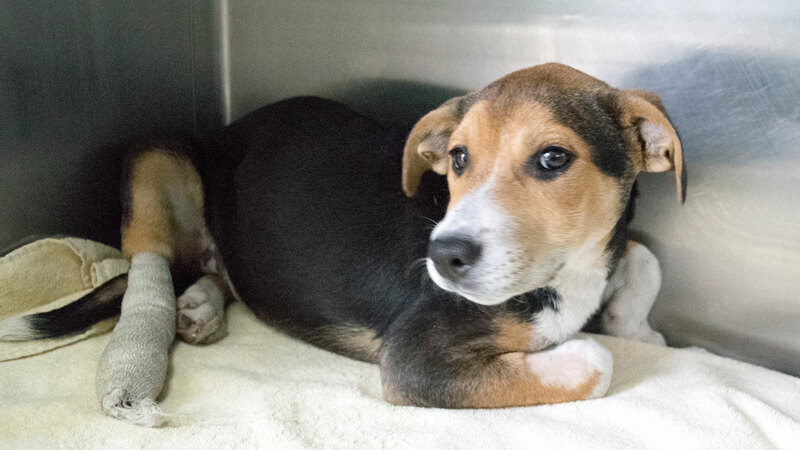 PASADENA, Calif. (KABC) -- Staff members of the Pasadena Humane Society and SPCA are looking for the owner of a 4-month-old puppy that was severely injured by a hit-and-run driver. The female beagle puppy was struck by a car at the intersection of Fair Oaks Avenue and Huntington Drive in South Pasadena. After she was hit, she rolled underneath the car and landed on the sidewalk. A Good Samaritan spotted the pup and ran to its aid as the driver continued down the road. The person rushed the puppy to the Pasadena Humane Society. 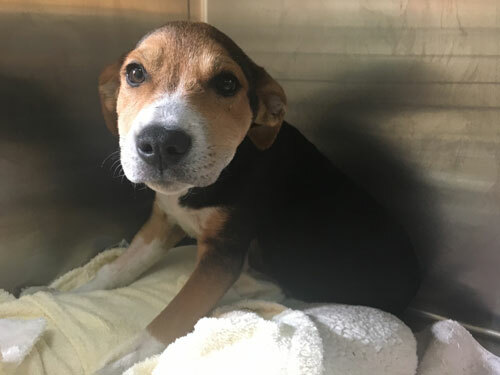 The puppy, who has been called Miracle by staff, underwent X-rays and veterinarians found she had suffered a severe fracture to her hind legs. The fracture requires surgery by an orthopedic specialist to ensure proper healing. Staff said Miracle is in good spirits despite her injury, and she should be undergoing surgery soon. They also hope to reunite her with her owner before Christmas. She is listed on the organization's website at pasadenahumanesociety.org. If her owner cannot be located, she will be placed up for adoption once she recovers from surgery. Anyone who believes Miracle may be their beloved pet can email adoptions@pasadenahumane.org with the ID #A410205.